First revealed at San Diego Comic Con back in July, the Kingdom Hearts Mystery Minis have now been fully revealed by Funko. 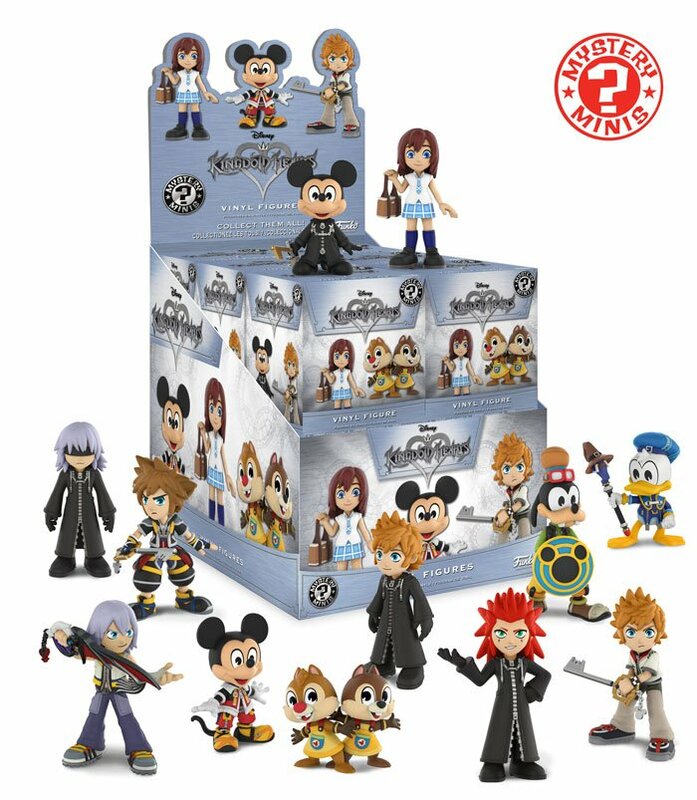 The Series Features Mystery Minis of KH2 Sora, Donald, Goofy, KH2 Mickey, KH2 Roxas, School Uniform Kairi, Chip and Dale, KH2 Riku, OrganizationRoxas, Axel, Organization Mickey, and Blindfolded Riku. 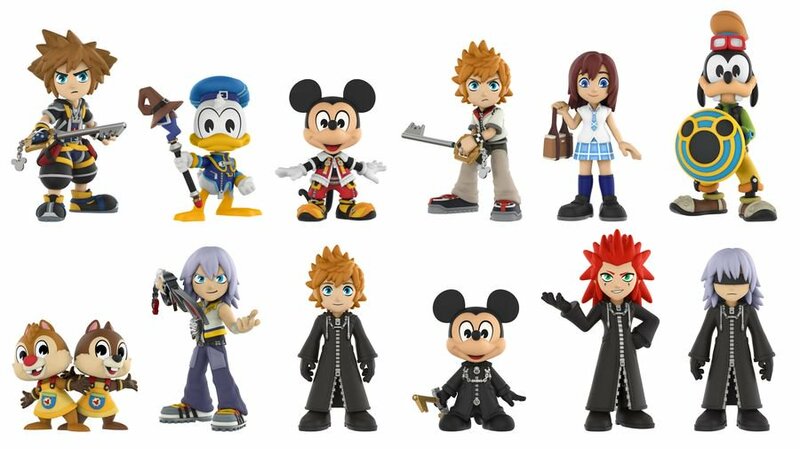 Additonal Minis are also available exclusively at various retailers: Pete, the Large Body Heartless, and the Soldier Heartless can be found in blind boxes in Gamestop, Space Paranoid variants of Sora, Donald, and Goofy can be found at Toys "R" Us and Halloween Town Sora, Donald and Goofy can be found at Hot Topic. A previous version of this article linked to Ikon collectibles early Pre-Order listing, this article has been updated to reflect new information about the series. I hope they do the whole Organization XIII in the future. Would love to have a Larxene and Xaldin! Ohhhh!! Having a trade would be awesome!! I want the soldier so baaaaad!! Itâ€™d be neat if KHI could somehow organise a trade sector for these miniâ€™s, allowing people to search what other people want to get rid of and what they want. Iâ€™m not sure if the logistics of this would be viable though, but itâ€™d be neat for a dedicated KH section. LOVE these! I am going to go broke trying to get them all! I would love this! If these don't have any particular box layout, then i'd say that a lot of us will be getting plenty of doubles that we will want to trade.